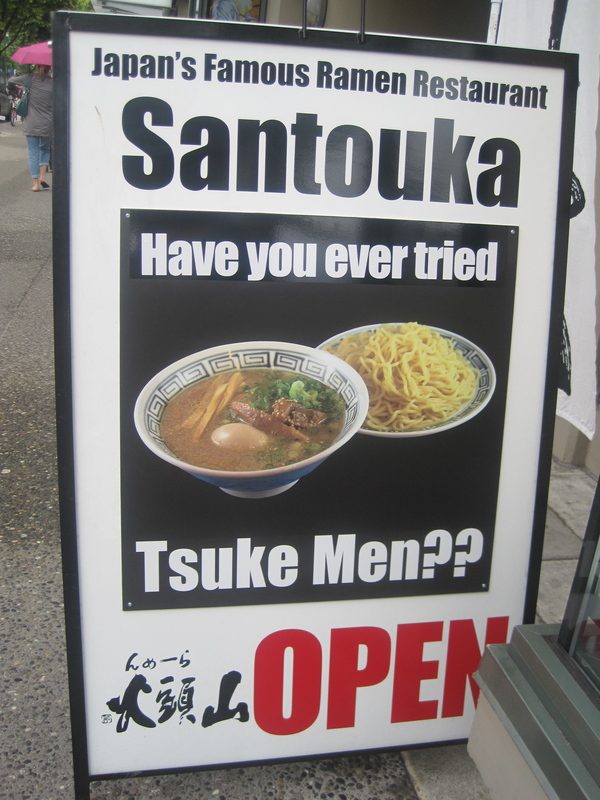 June 29, 2010: Santouka Ramen! That Tokyo Trip! Mailbag! 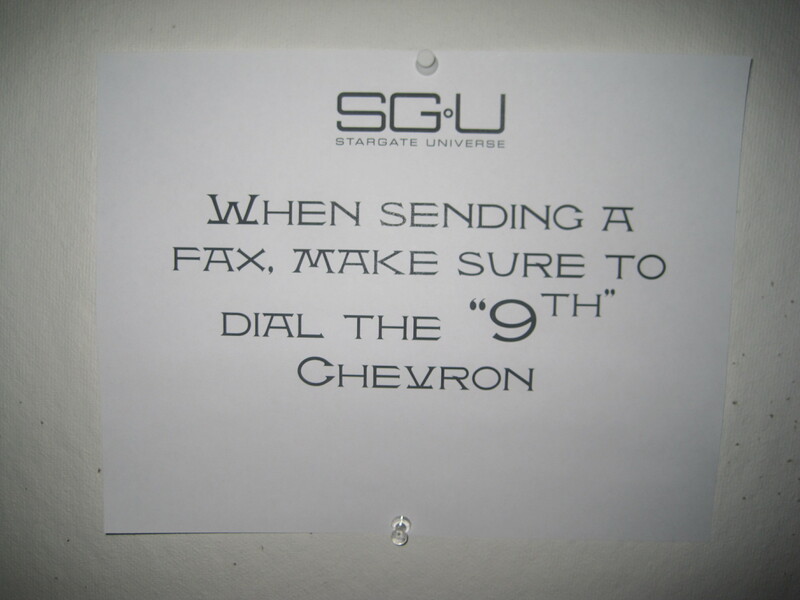 Sign above the Stargate Production Office fax machine. Located on the bottom of Robson Street right across from another ramen shop I’ve been meaning to try and surrounded by about a dozen Korean restaurants, Santouka is a popular noodlery that always sees a healthy line-up during the lunch time rush. Which is why you want to get there around 11:30ish, which is when I went. 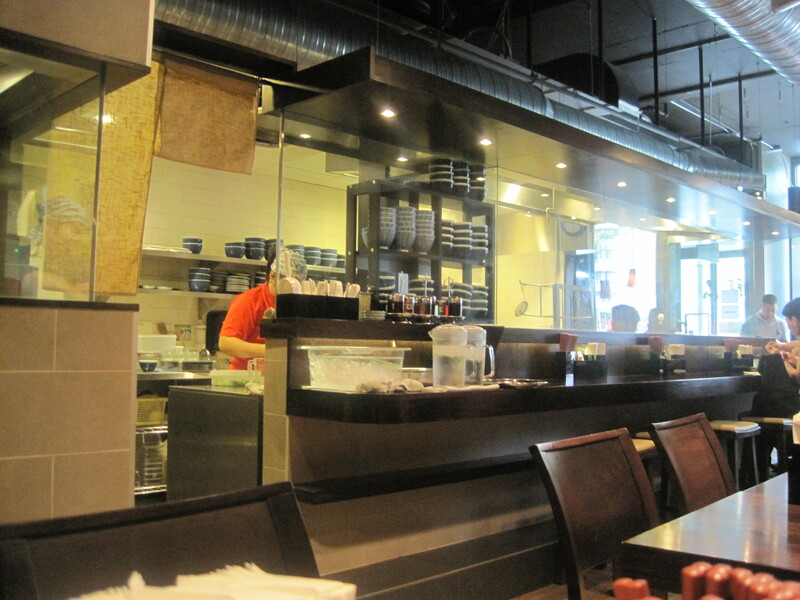 Seating is cozy, most of it offering a view of the glassed-in kitchen area where the various ramen broths can be seen simmering away. It’s a nice room, much nicer than your average ramen-ya, and the food is certainly a cut above many of the others I’ve tried. You have three (actually four) choices when ordering your ramen. 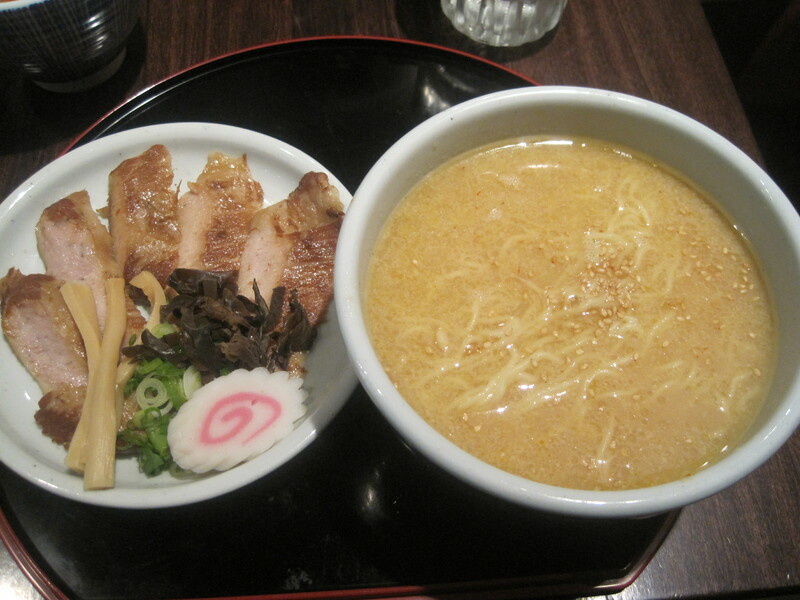 You can choose a salt-based broth, soy-based broth, miso-based broth, or miso-based broth with chili. I went miso-based with the pork jowl combo. Apparently, you have to get there early if you want the pig jowl because they run out fast. And, after sampling it, I’m not surprised. It was THAT good. 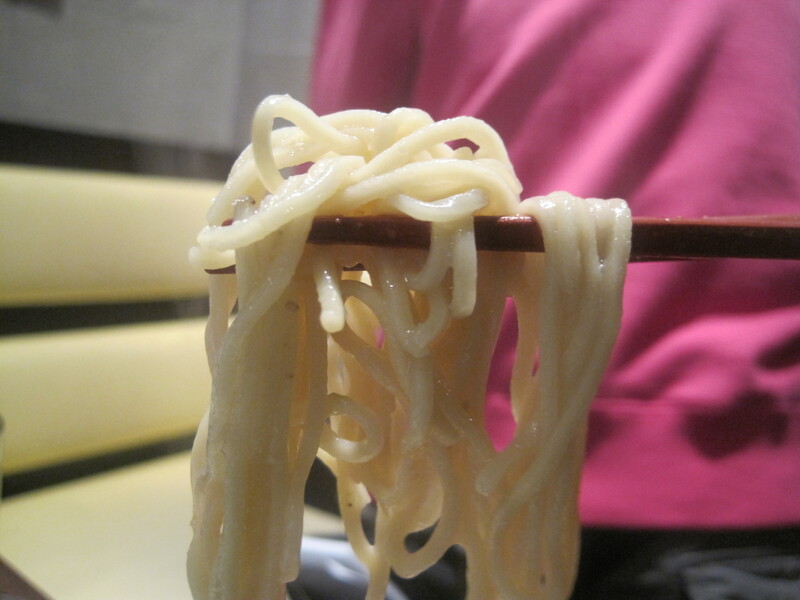 Oh, and the ramen was excellent as well, delightfully firm and chewy noodles swimming in a rich, thick, savory broth. If I understood correctly, this is the Vancouver outpost of a Japanese ramen-ya. I’ll be interested in comparing it to its Nihon counterpart in December when Ivon and I hit Tokyo. Speaking of which, I was discussing the impending Tokyo trip with Ivon this morning. He warned me that, since I was traveling with him, I should be prepared for some heavy drinking and potentially queasy mornings. 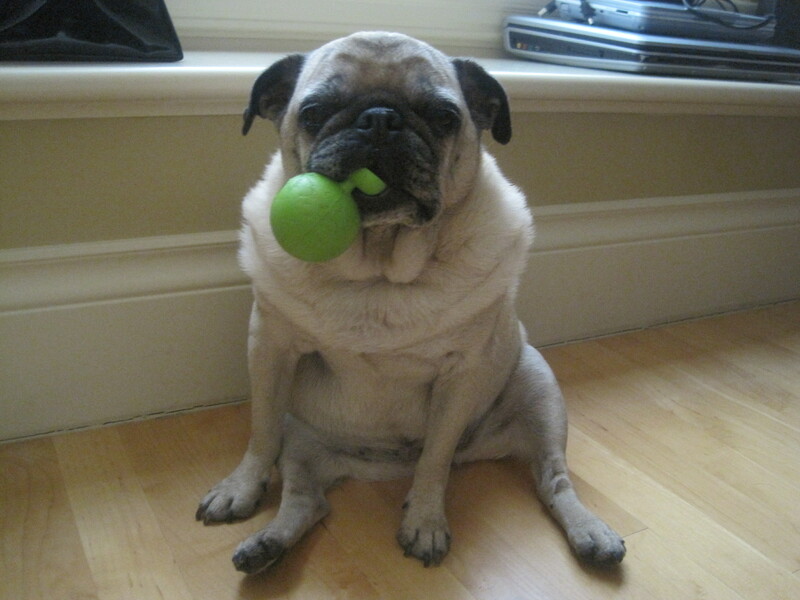 I countered that since he was traveling with me, he should be prepared for some heavy eating and equally queasy nights. Went to see the doctor today to check out what I assumed was a pulled muscle in my chest. He checked my blood pressure (very good) and ran an EKG just to be sure (a-okay). Next month, I go in for a blood test that will check my sugar levels and cholesterol. So what I need to know is how far in advance do I have to switch to an all egg-white, steamed broccoli, and oatmeal diet in order to fool the test? Suggestions? Would two weeks do it? I hope so because I just picked up a huge piece of freshly baked blueberry pie I intend to have with vanilla ice cream tonight. Answer: And I love them as well. Provided they’re not playing for their respective national team. Nothing personal. I’m sure there are least a dozen Stargate fans in the New York City area, but that doesn’t stop me from hating the Yankees. Answer: Yep, plenty of kitsch stuff to buy, alternately cheap and crappy. On a previous visit, I picked up a styling pair of baby blue, inflammable (I checked to make sure they weren’t flammable) Mashimaro pyjamas. Answer: She’s doing alright – just not exactly lively. She does more standing and sniffing than bouncing and bounding. Answer: Yeah, Lou is a wonderful character, and The Speed of Dark is a wonderful book, one of my faves – which is why it was one of those rare titles I made a Book of the Month Club pick even though I’d already read it. Answer: Occasionally, as long as they’re served on the rocks. Answer: They were all sad, but that final Jack-Daniel scene at the end of Meridian gets me every time. Answer: Hmmm. Let’s see… They’ve had it about a week and they called me, again, to tell me it would be ready tomorrow, again. So I’m guessing sometime late next week. Major D. Davis writes: “1. Do you think you could maybe feed us another SGU season two hint to get us psyched? Maybe just a small detail? Answers: 1. Park is a vegetarian. 2. Sure. In the unlikely event that every piece fell into place and the DVD market were to magically rebound then, yes, there would certainly be the possibility of more movies.